For aspiring inventors, little else can be more satisfying than seeing "your baby" spring to life. 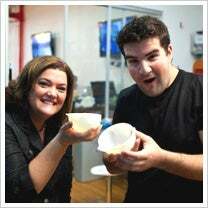 Just ask Andrea Zabinski, the Pittsburgh-based software entrepreneur, turned inventor whose idea for an all-in-one pasta strainer is featured in the first episode of the new reality TV series called "Quirky," which premieres on the Sundance Channel tonight at 10 p.m., Eastern. Named for Quirky.com, the product-development company that uses crowdsourcing to discover and create products to invent, Quirky the TV show is a weekly, hour-long series that tracks the inner workings of the company -- from idea to prototype to getting voted on by the Quirky community to landing on store shelves. "Ninety-nine percent of people are armchair inventors. They have great product ideas, but most don't have the time or money or expertise to make them happen," Ben Kaufman, the 24-year-old founder and CEO of Quirky told Entrepreneur. "We're making invention accessible." 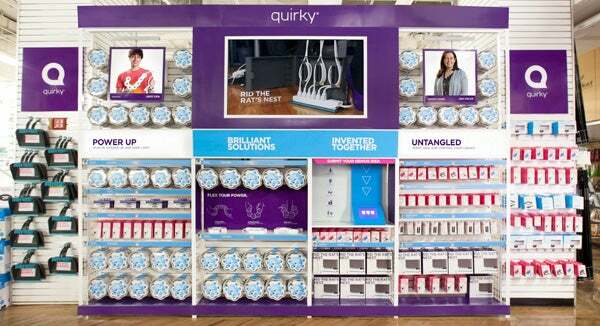 So what are the folks at Quirky creating? After launching two years ago, the New York based design firm has helped invent more than 165 products. But its hottest seller to date is the "Pivot Power," a flexible power strip allows for big electrical plugs and unusually shaped plugs to power up in adjacent outlets. Quirky display at Bed Bath & Beyond in NYC. The problem Zabinski aims to solve in the first episode is pasta preparation. After being thwarted by the frequently messy and mostly inefficient process of making, straining and then serving pasta, Zabinski knew that there had to be a better way. And if she felt sick about needlessly dirtying up three bowls and wasting wayward noodles that would fall to down the drain when she transferred pasta between dishes, the team at Quirky considered that many others likely shared her view -- and might buy Zabinski’s invention as a result. While Quirky inventors are obviously pleased as punch to see their ideas come to life, the fact that they might also profit from the process lends the show added excitement. Although Quirky retains ownership of inventors' crowd-sourced creations, inventors typically receive about 30 cents of every $1 of revenue generated. A number of inventors have already earned tens of thousands of dollars, says Kaufman. And with a community of more than 65,000 members -- that's growing by 20 percent every month -- there's plenty more blockbuster-product ideas to come out of Quirky yet, he says. Kaufman’s advice to would-be inventors? "Just do it." Let us know what you think of the show and other Entrepreneur focused programing these days in the comments section below.